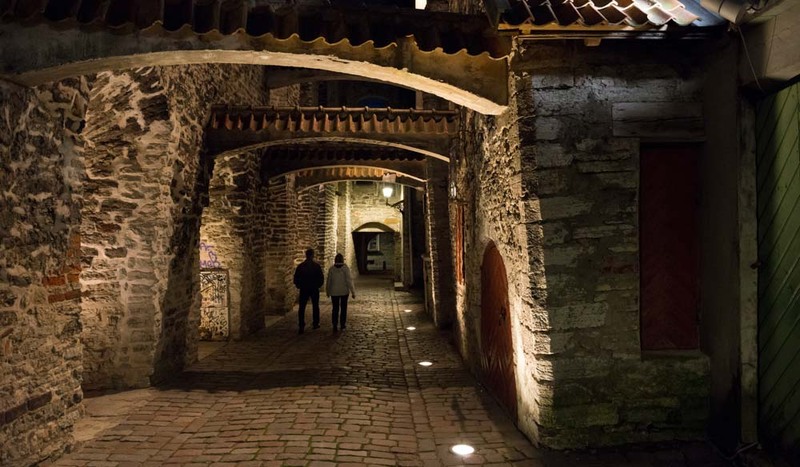 A couple walks through St. Catherine's Passage (Katarina Käik), a short walkway in the Old Town of Tallinn, Estonia. The medieval passage connects Vene and Müürivahe streets. 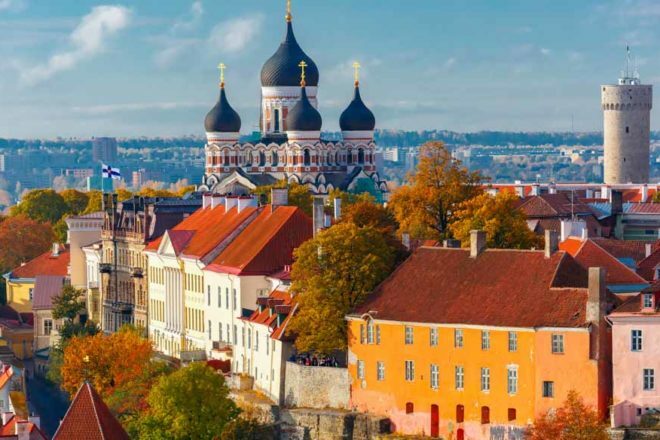 Medieval meets modern in Estonia’s cool capital: in tune with its 13th-century roots yet also a progressive start-up hub (Skype was invented here), with contemporary cuisine and culture in spades. Tallinn’s dining scene is rising as a new generation of chefs reinvent traditional cuisine. Try the casually sophisticated Leib Resto ja Aed, upmarket Restoran Ö or funky, design-led Kaerajaan. From its top floor location, artistic Komeet overlooks the national opera house and is run by chef and author Anni Arro; or take a trip to NOA at Pirita Beach for a gourmet experience with Baltic sea views. Kick things off in Town Hall Square; it’s been the hub of the Old Town for eight centuries. The rest of this historic district is enclosed by a city wall, complete with towers and terracotta-topped turrets, and features colourful gabled houses and cobblestone streets. It’s a tourist draw for good reason, but make sure to also venture beyond to Kalamaja, Tallinn’s ‘hipster district’. Here, quaint wooden worker houses cosy up to converted industrial spaces, and culture abounds. The Estonian Song Festival is integral to the country’s national identity (and has twice helped lead it to independence, latterly from Soviet rule in 1991). One of the world’s largest choral events, its next edition in 2019 will mark 150 years since its inception. The city also hosts on-the-pulse Tallinn Music Week and big Balkan jazz festival, Jazzkaar. A trip to Telliskivi Creative City in Kalamaja will provide an overview of Tallinn’s contemporary culture. A complex of 11 industrial buildings, it showcases a range of Estonian design and fashion, plus vintage stores and flea markets. You’ll also find eateries and bars plus music, dance and comedy nights. 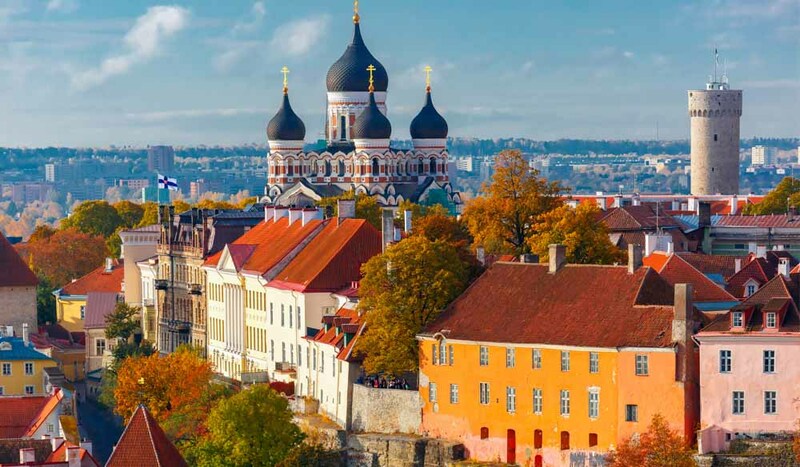 Tick Tallinn’s medieval sights off your list (including its city wall, Town Hall and Saint Catherine’s Passage) and take in a slice of opulent Russian history in the shape of Saint Alexander Nevsky Cathedral; built in 1900, when Estonia was part of the tsarist Russian empire. Check out estonia’s oldest cafe, Maiasmokk, or get your specialty fix at Renard Coffee Shop in Kalamaja. Also beyond the boundary wall, BJÖRN Espresso BAR takes its beans seriously. Preserving period details like exposed stonework and featuring wooden ceiling beams and floors, The Taanilinna Hotell combines a historical feel with a light and modern touch, and is set within the city’s Old Town. Set across three converted merchant houses built in 1362, Three Sisters Hotel is a boutique accommodation in the Old Town’s cobblestoned Pikk Street (the arterial road in the Middle Ages), offering style and a sense of history. luxury five-star in a grand 19th-century building that was formerly used as a post office, Hotel Telegraaf is just a stone’s throw from Town Hall Square and has everything from sumptuous rooms to a spa and indoor pool.